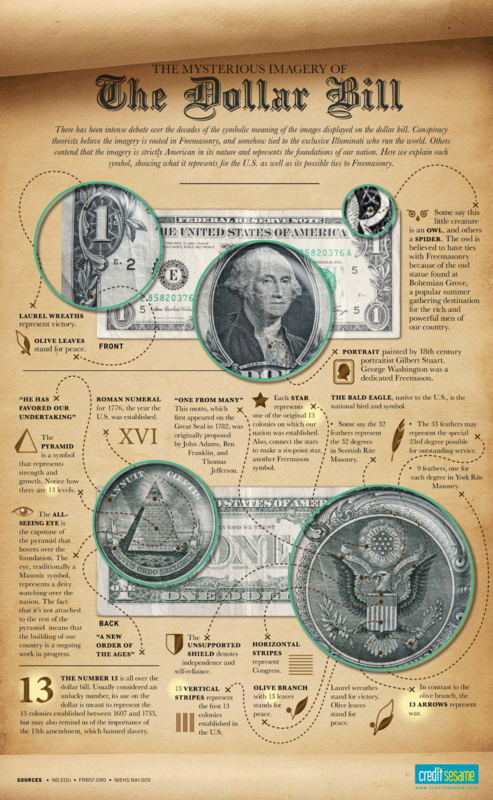 Dollar bills: we look at them every day, yet how many of us truly pay attention to anything besides the denomination value? The fact is, numerous symbols adorn our currency and there has been intense debate over the decades of their meaning. Conspiracy theorists believe the imagery is rooted in Freemansonry and tied to the Illuminati. Others contend the imagery is strictly American and represents the foundations of our nation. In this infographic, we explain each symbol from both perspectives.